Our project is approaching the end of its 3-year programme of archaeology and community history, made possible by the Heritage Lottery Fund and local partner organisations. 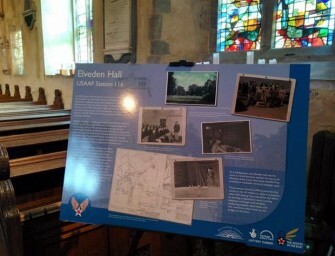 Since 2013 we’ve worked in partnership with local communities to share the story of the 8th USAAF and keep the legacy of their time in England alive for future generations. Heritage Lottery Fund programmes are by design short-term. They’re not intended to replace the hard work already being done, nor are they developed as a ready made replacement for the future. The Eight in the East received funding to provide support and development for existing organisations, whilst encouraging new people to learn about their local history. You’ll find a link to how you can take part in our evaluation. A great highlight from responses to date is that 48% of local people who’ve volunteered with us did not know about the 8th USSAF before participating in our project. We believe that through archaeology, theatre, education, oral history and exhibitions we have reached out to these new audiences in new ways. The good news is that our fantastic resources will still be available to all for the future. This website will remain online to share our resources alongside a great new interactive digital guide, our exhibition will continue to tour and there will be new ways by which you can still participate in this heritage. What’s more, we’re thrilled to announce that Visit East Anglia have been awarded a development grant to take this history to new audiences right around the world. 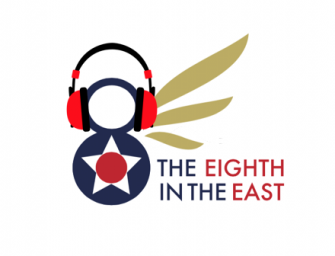 The Eighth in the East has worked hard with them on their new project and we fully support this new venture. A number of our activities will continue under the programme, alongside a whole host of new developments. 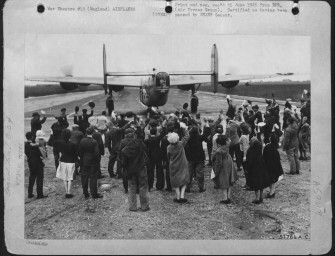 So, thank you so much for all your interest and support to date, and look out for next month’s newsletter detailing how you can keep involved in the history of the 8th USAAF in the future.